Milk thistle has been used for over 2,000 years as a way to maintain optimal liver health and function. Native to southern Europe, southern Russia, Asia, and North Africa, milk thistle is now also found in North and South America. It provides a number of health benefits and can be taken as a daily supplement to maintain optimal health. 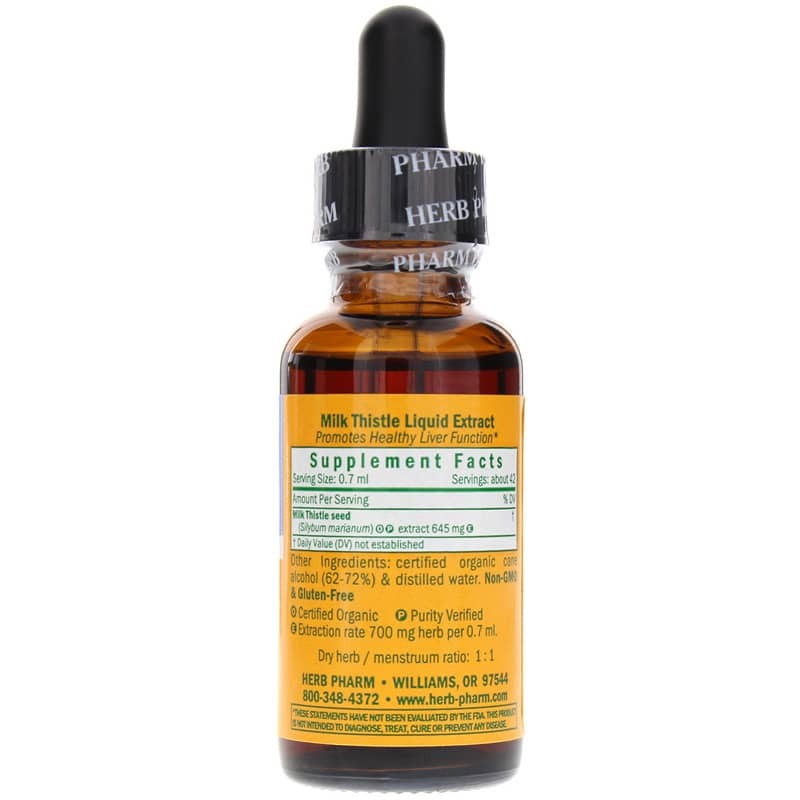 Herb Pharm's Milk Thistle is an herbal liquid extract that is formulated from the dried whole seed of Silybum marianium plants that are certified organically grown or sustainably grown. 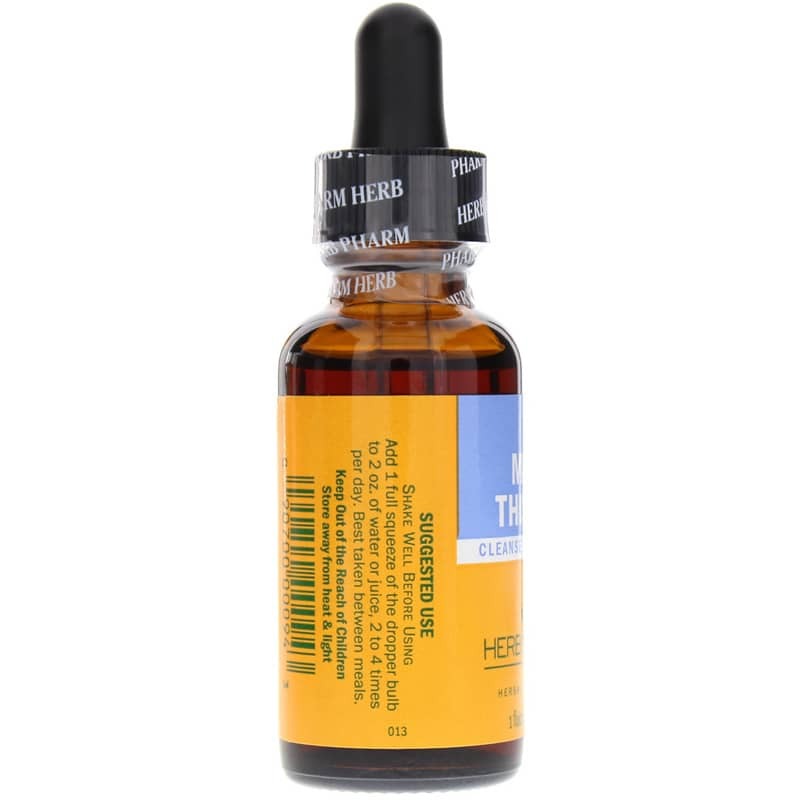 This product goes through a double-extraction process, which creates a more concentrated extract that provides a broad spectrum of silymarin flavonoids for better health support. Make the choice to support your liver health and enhance your overall detoxification. 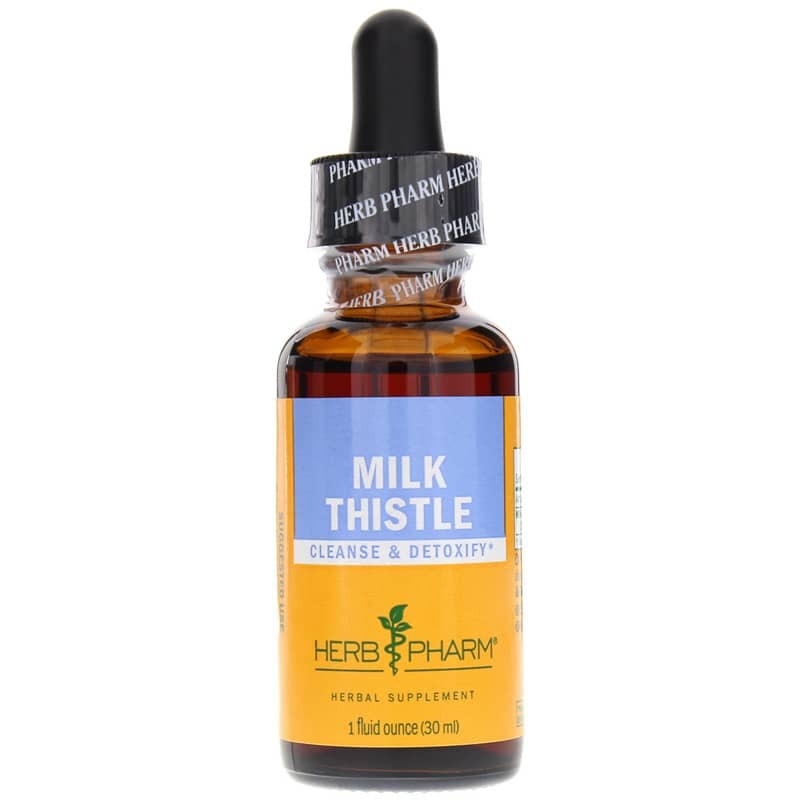 Give Milk Thistle from Herb Pharm a try today, and stay on the pathway toward optimal overall health and an increased sense of wellness. Order yours now! Other Ingredients: certified organic cane alcohol (62-72%) and distilled water. (E) Extraction rate 700mg herb per 0.7ml. Adults: Shake Well Before Using. Add 1 full squeeze of the dropper bulb to 2 oz. of water or juice, 2 to 4 times per day. Best taken between meals.